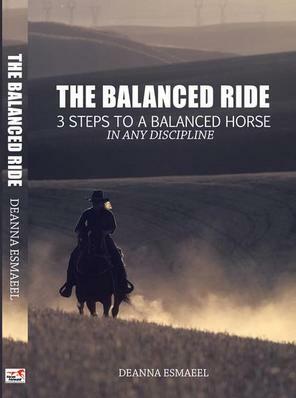 3 Steps to a Balanced Horse- in ANY Discipline! -What is the single most important tool every horseman needs in their horse training toolbox? -How do you use the three concepts of Focus Forward Horsemanship- Focus, Forward and Containment- to effectively and simply balance your horse? -Are you creating anxiety or creating responsiveness in your mount? -What some horsemen don't know- the difference between micro-managing and nagging. - Problems and solutions..methods you haven't thought about before. - How to find your horses' strong side and weak side, and why this is supremely important in training. - How good head position from your horse naturally occurs as a result of correct riding. -Using algebra and geometry to achieve perfect balance. -The psychology of riding- What to do when you are not on your game. BEFORE clicking "Buy Now" add contact info into text box ABOVE for proper shipping, thanks! !